In a perfect blend of minimalistic modernism and vintage influence, Fulton's pendant chandelier adds character and interest with its open caged design and two-tone colour contrast. 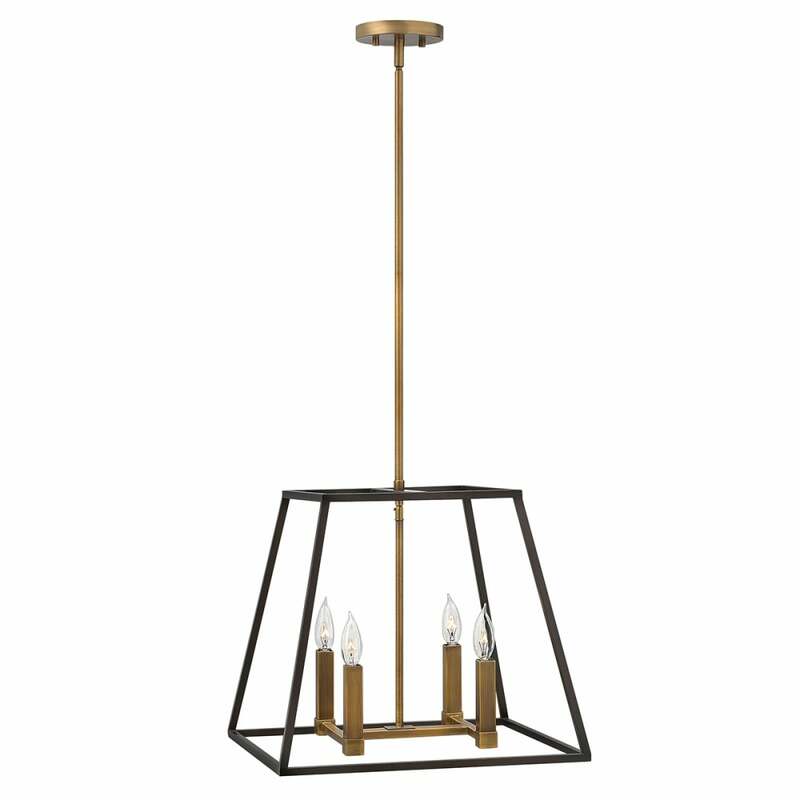 Matching chandelier, pendant and wall light styles are also available. View All Hinkley for more information on Fulton or view the complete Fulton Collection. - Supplied with 1 x 152mm, 1 x 305mm & 1 x 457mm rods.